This bumper is made air space at the front bumper bigger than normal. It improves the cooling efficiency of the intercooler and radiator. It is considering for after parts (oil cooler,brake duct). It has the duct of both sides big. 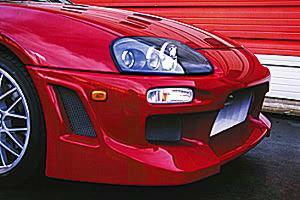 It contributes to the stability in high-speed-running because optimal down force is gotten by large-size rip spoiler. 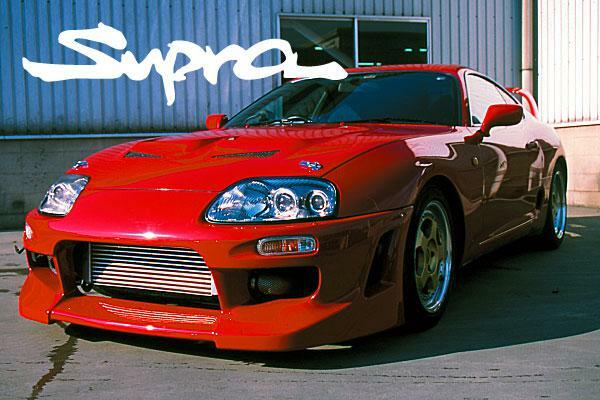 It can be dressed up,without spoiling a normal design of JZA80-SUPRA because It is designed to fit curve of SUPRA.